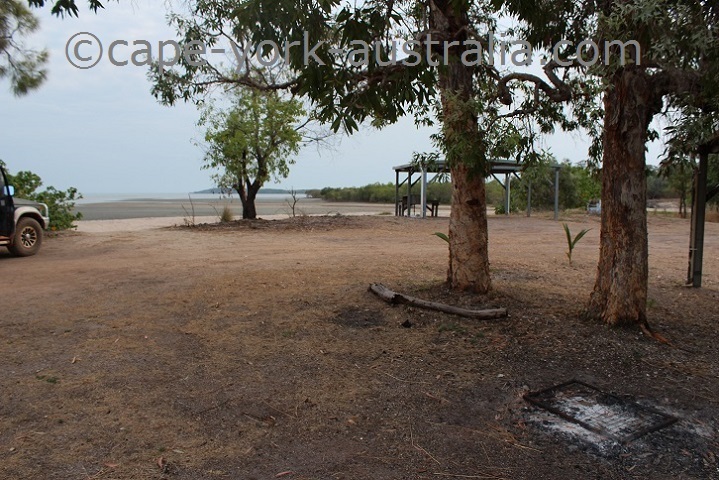 There are some nice places to enjoy in the area north of Weipa. 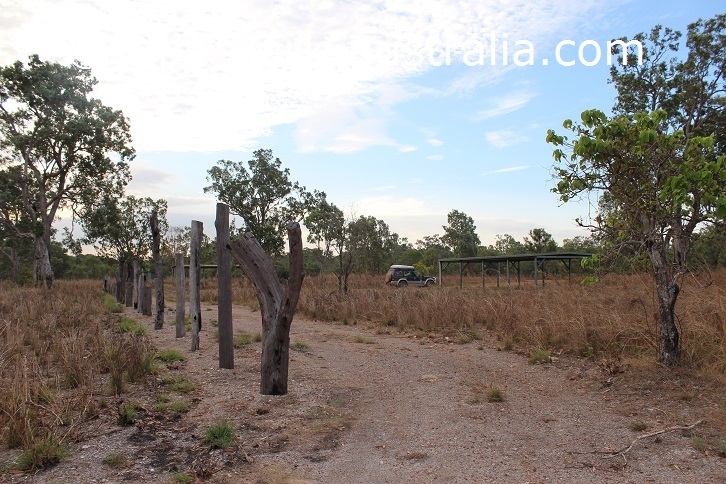 The only thing is that a few different restrictions apply and permits are needed in some parts. 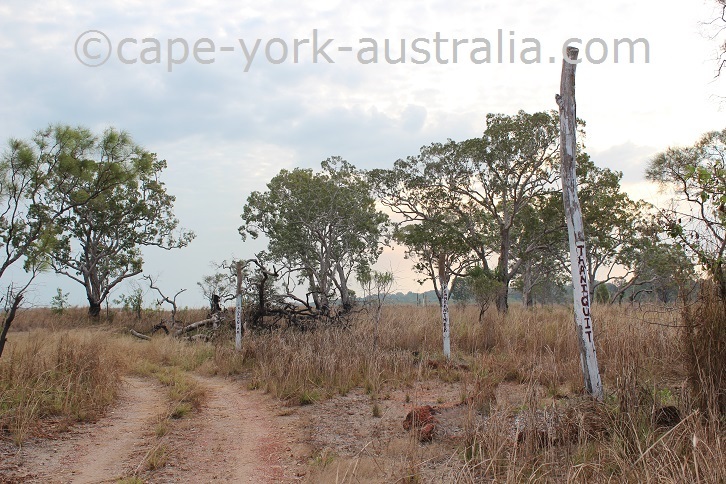 The reason is that the whole area is either indigenous land or mining lease, and in some places even both at the same time. 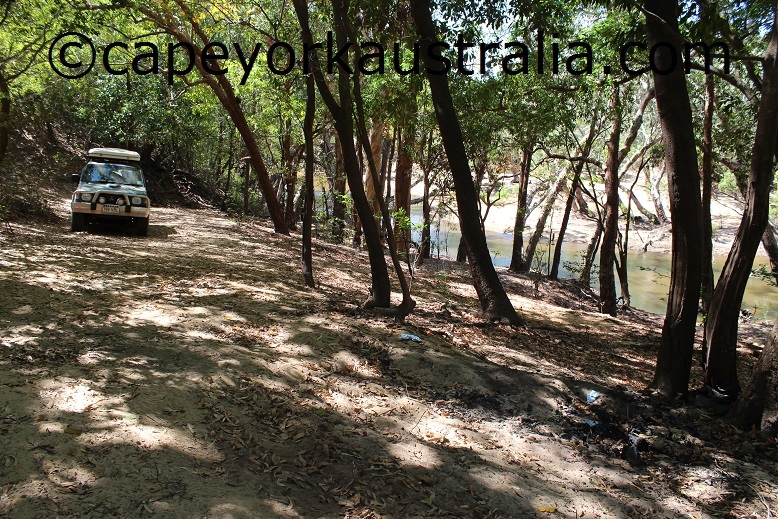 North of Mission River just north of Weipa you soon cross a second bridge - Andoom Creek, and after that you have a short track to Red Beach, as well as a longer one to Bouchat Totem Poles which is also on the beach, and has a few different camping spots. 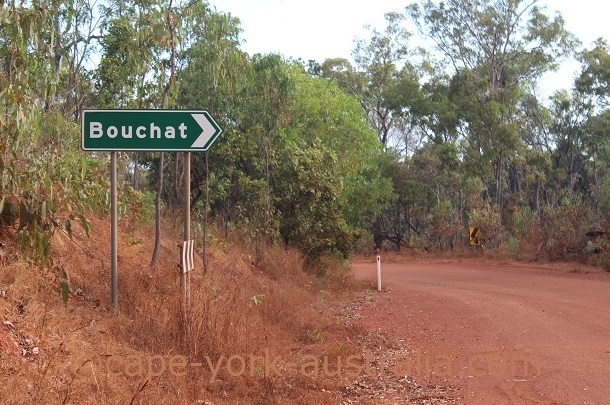 North of that you drive past the Andoom Mine, and turnoffs to Betteridge Landing (currently no access due to mining) and Vyces Crossing which (on the photo in late Dry) is a great spot during the Wet, and early Dry season. 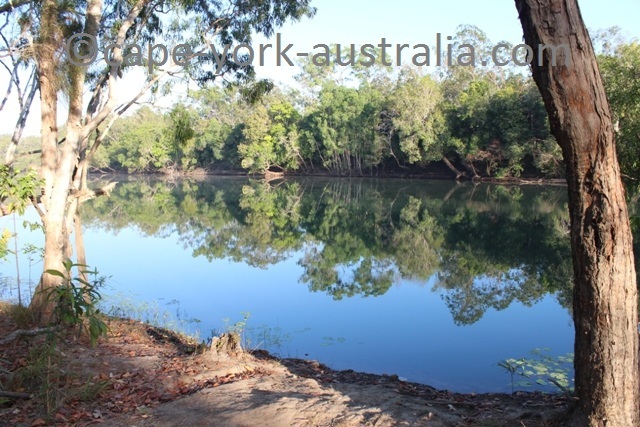 It is both on indigenous land and mining lease at the same time. 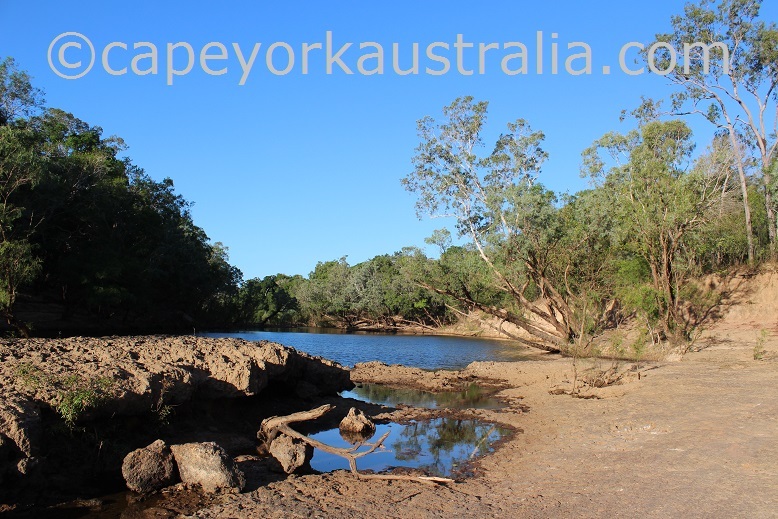 Further north you have the turnoff to a nice area called Barrage and Stones Crossing, with many tracks and different swimming, fishing and camping spots (not free, permits needed). 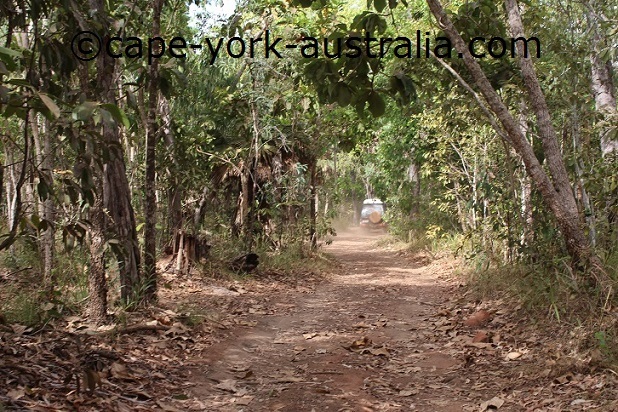 Behind it is Steve Irwin land, but there will be a track from here to Bramwell Junction. 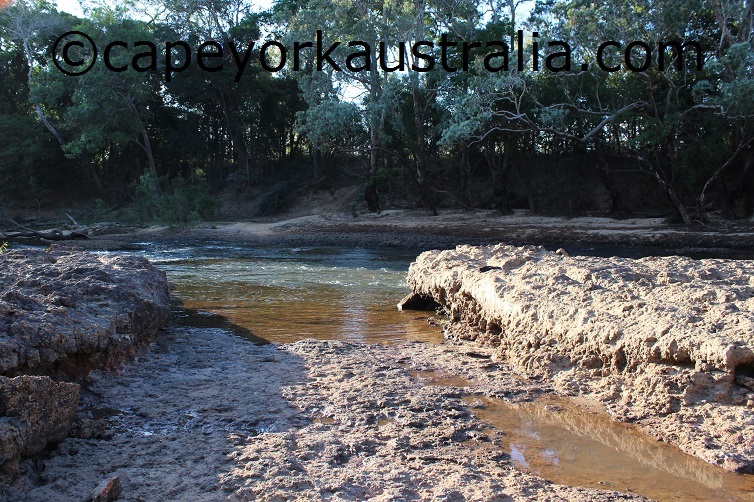 Pennefather river mouth - another enjoyable fishing and camping area. There are even some sandy drives between the river mouth and the nearby beach, and just like the Stones Crossing above, permits are needed. 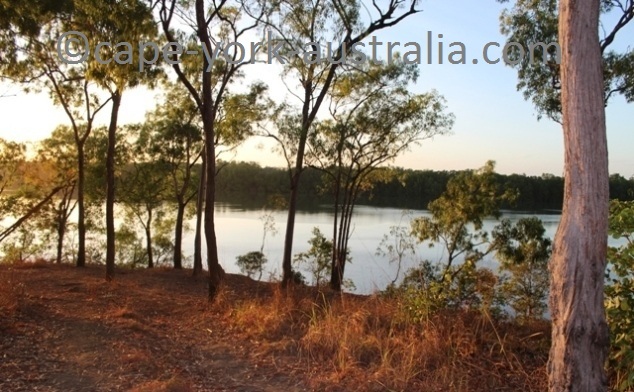 Back on the main road north of Weipa, you will drive past some spots like Clough's Landing boat ramp, as well as Batavia Landing and Batavia Outstation. Every one of the three is on a different kind of land with own rules and restrictions. 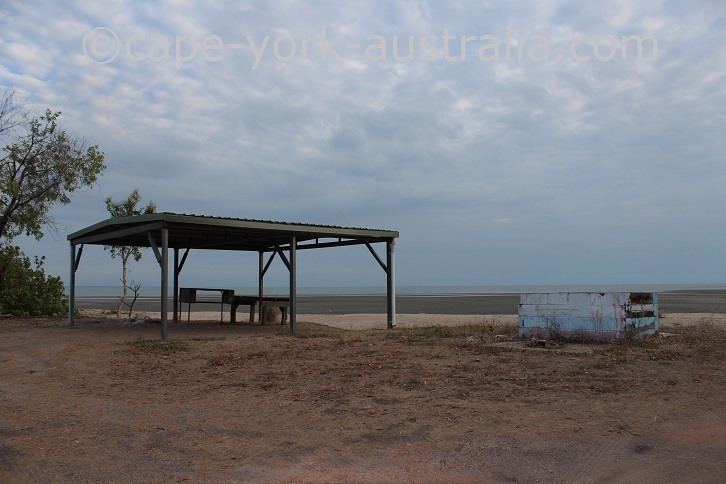 Finally up in Mapoon there is camping and fishing at Cullen Point, there is the Back Beach, Janie Creek, and a beach drive to the old Turtle Camp. Mapoon also has an old and sad history, which you can nowadays learn about at the historical site of Old Mapoon. 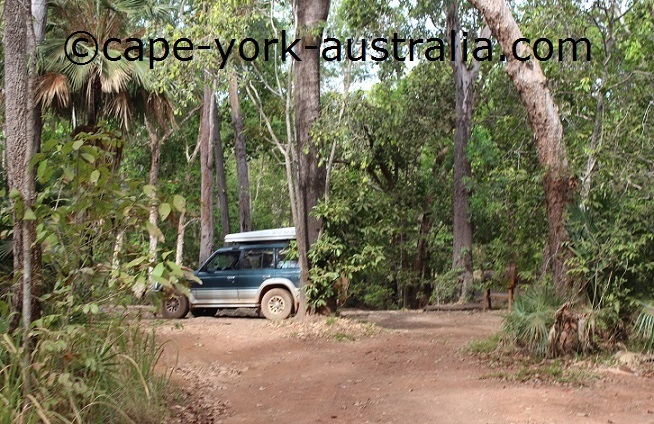 Bouchat totem poles is a camping spot north of Weipa. And you can do some fishing too, if the tide is high. There are also totem poles, but don't expect them to be historical. Totem poles is a north American native thing - not Australian. And that said, they are worth checking out. You get in there from the road to Red Beach, north of Mission River and Andoom Creek. 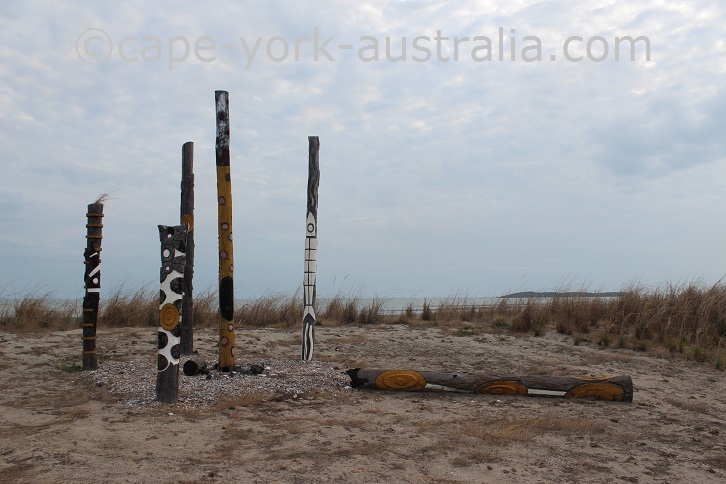 You drive through woodland for a while, before you reach the beach where the poles are. ... but on a sunnier day they can still make good photos. And they do have carvings, which obviously mean things. 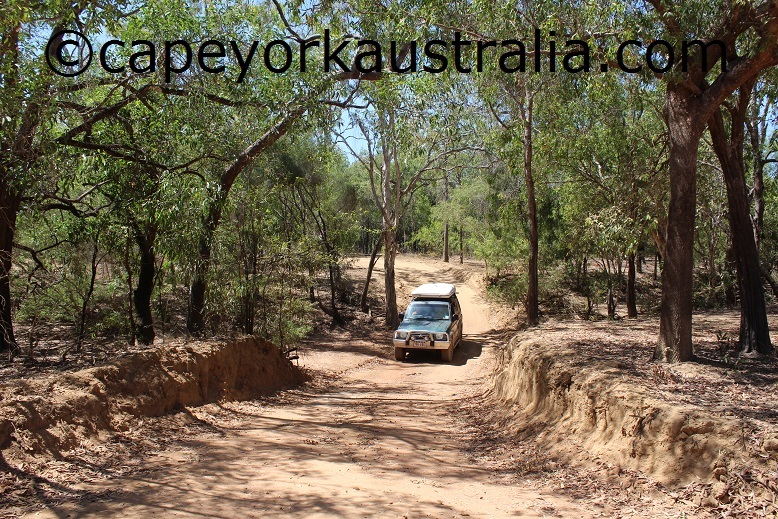 Keep driving and not far you come to the first camping spot. It's a little away from the beach, there is shade and toilets. And the next one is a spot on the beach (the tide on the pics is very low). 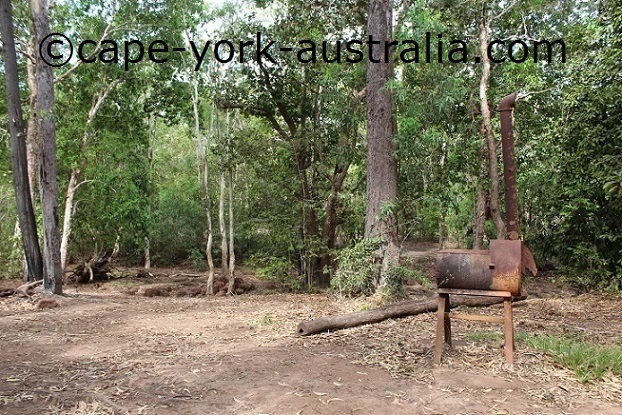 Permission is needed and fees apply for camping. 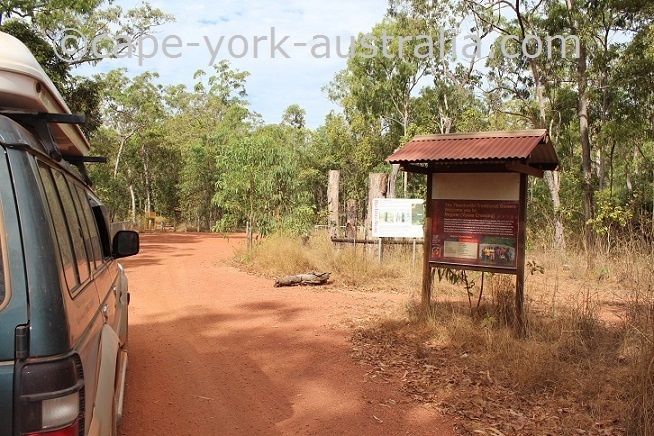 Vyces Crossing is a small place north of Weipa. 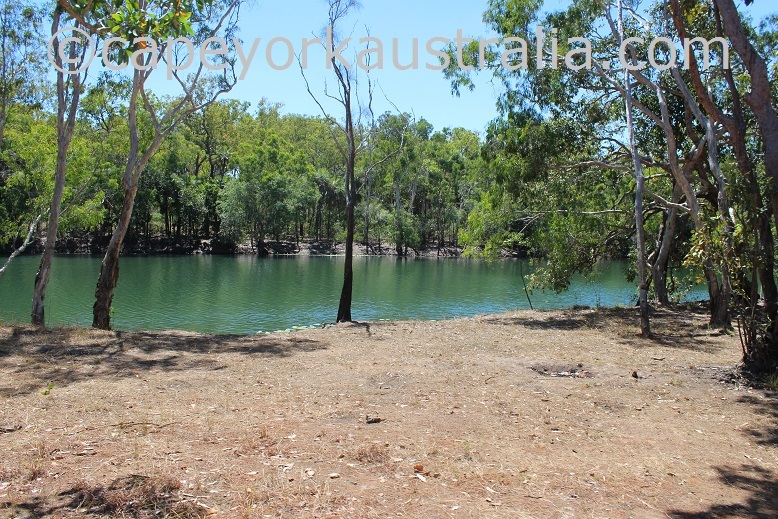 It is really mostly a swimming hole, but the thing is that there obviously needs to be water! 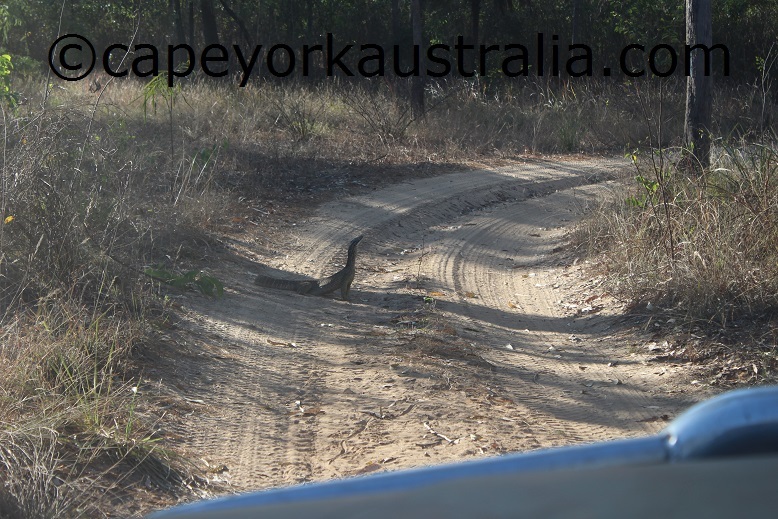 Well enough into the Dry Season it is unfortunately dry, meaning it is the best when it is not the busiest travelling season. 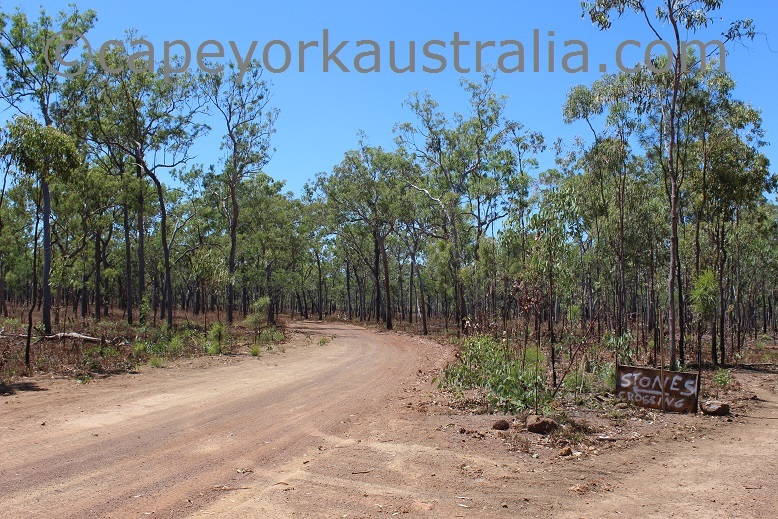 Also called Negwer, it is an important story place for local Aboriginal people (during the Wet you understand why!). 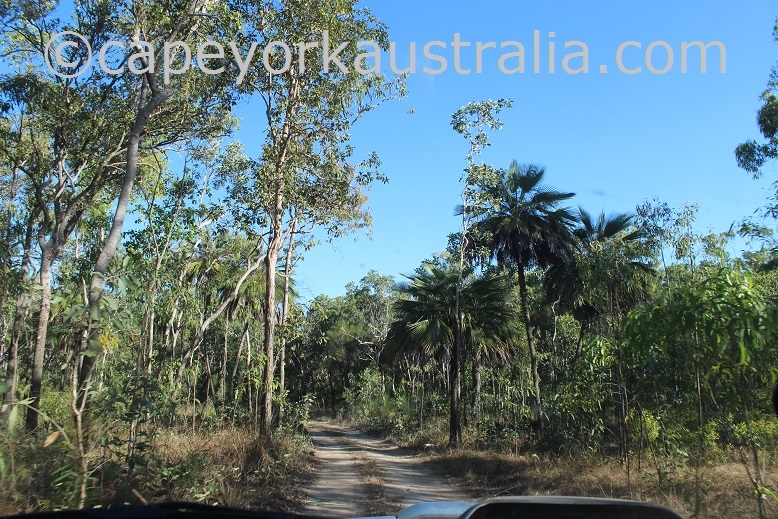 And it also contains some scarred trees like some other places around Weipa. ... until you get to the swim hole. 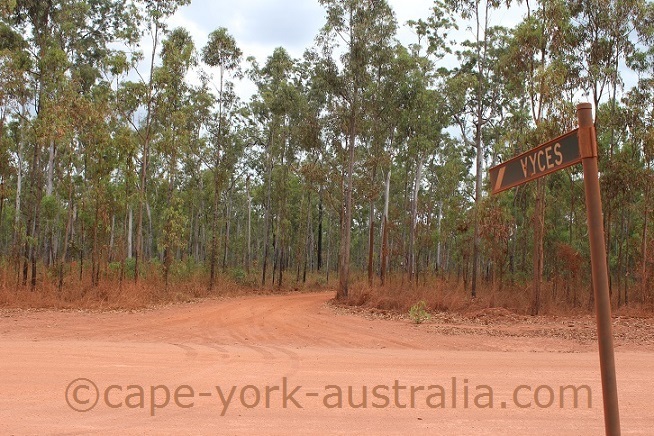 Vyces Crossing is on both Aboriginal land and mining lease, so rules and restrictions apply. Stones Crossing is a great spot. 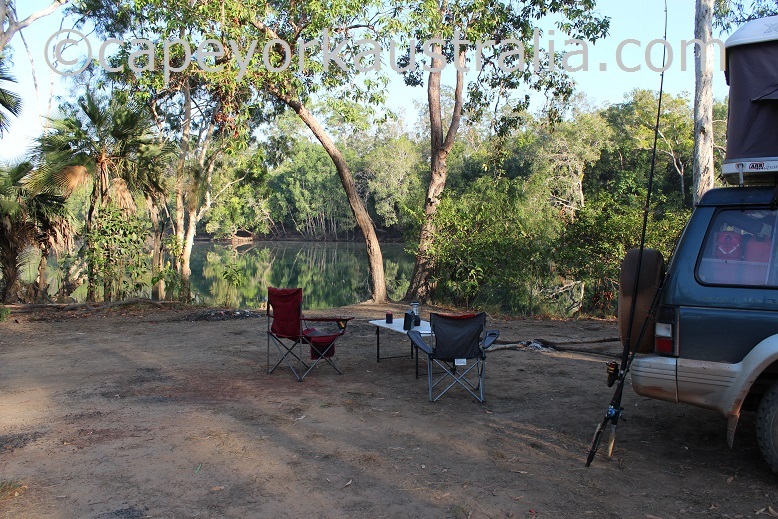 It is actually more than a spot - it's an area of many different spots to enjoy camping, fishing or just discovering the area. 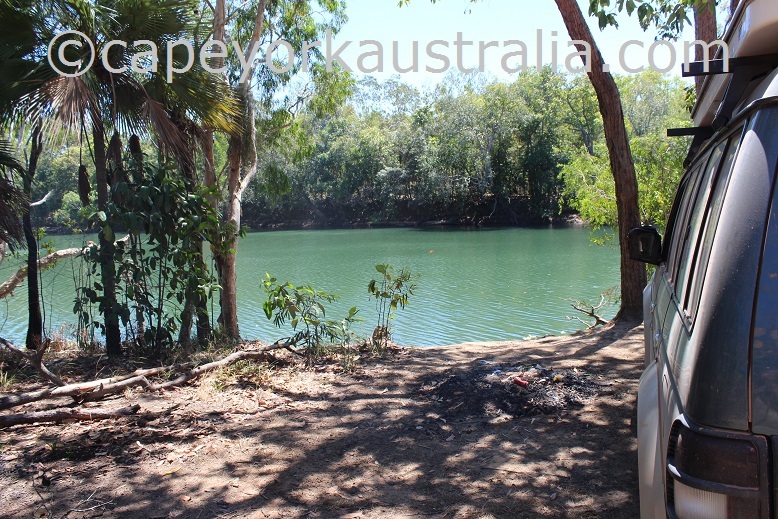 Not too far from Weipa, even for the locals this is a great weekend getaway. 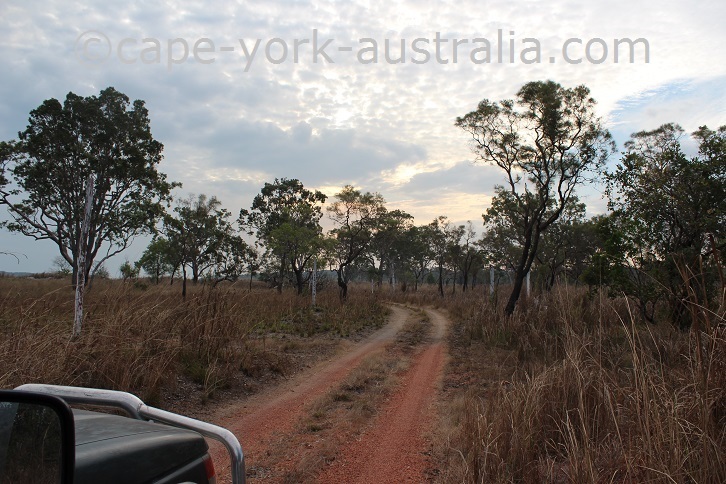 After a few turnoffs north of Weipa you are on a track, which is not a hard drive during the Dry season. After a bit of a drive you come to the first spot. And a little bit later is the second one. 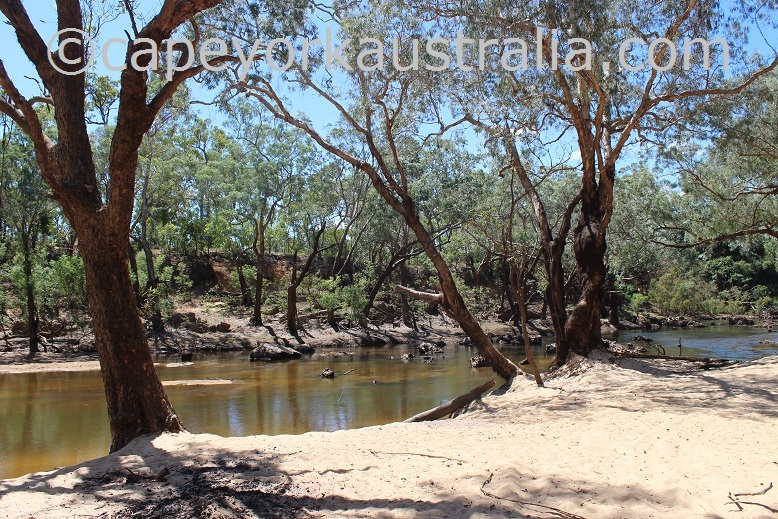 ... before you come to another spot great for a cool dip. 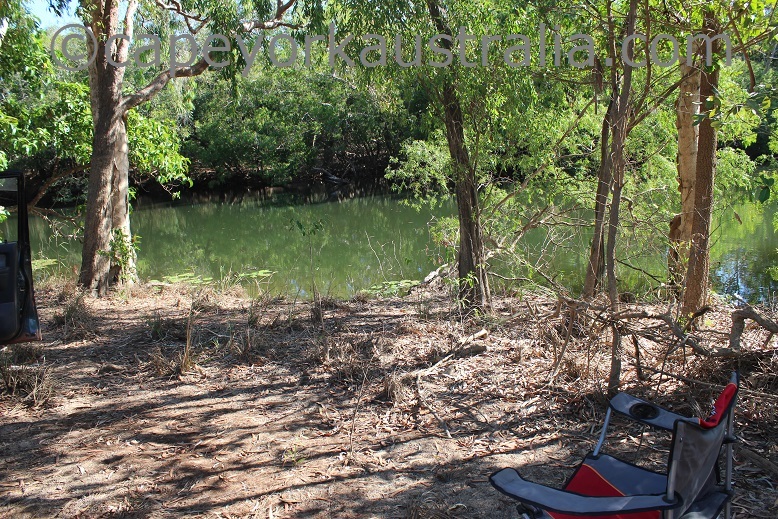 ... and then there is a last spot where you can fish but it's not good for swimming. ... and the actual stones crossing. 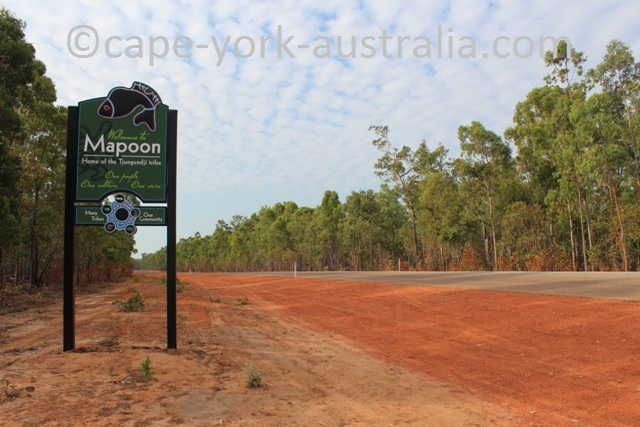 Stones Crossing is on Aboriginal land so the whole area is subject to permits and restrictions (details in the Destination Guide).